In occupied France during World War II, writers and intellectuals did not approach the moral dilemma of collaboration and accommodation in a unifying response. A leading figure of the Resistance from the outset, Albert Camus edited an underground newspaper. But, Jean-Paul Sartre and André Malraux, while sympathetic to the Resistance efforts and contributing anti-Nazi content, did not publicly profess their support until right before the 1944 liberation of the country was virtually assured. One of France’s most promising young journalists, however, was full-throated in his support of the Nazi occupiers, publishing a newspaper for the cause. Following the liberation of the country, Robert Brasillach was tried and executed in 1945 after General Charles DeGaulle explicitly stated that there would be no clemency. The history is being repeated with stinging familiarity more than 70 years later. Currently in Russia, many theaters and performing arts venues, which rely on government funding, do not dare criticize the Kremlin for fear of confinement in a prison, gulag or asylum. Vladimir Putin’s anti-gay propaganda law enacted by the Russian parliament resembles the Nazi Law for the Protection of a Professional Civil Service, enacted in 1933 to fire and punish Jews and others. And, there are fears that recent waves of authoritarianism around the world might embolden others to control and restrain freedom of artistic expression. That said, Plan-B Theatre has the uncanny serendipity to stage a work whose historical relevance is so urgent in the current moment. Eric Samuelsen’s newest play The Ice Front takes audiences back to Nazi-occupied Norway in 1943 and to the precise moral dilemma confronting the members of the Norwegian National Theatre in Oslo. 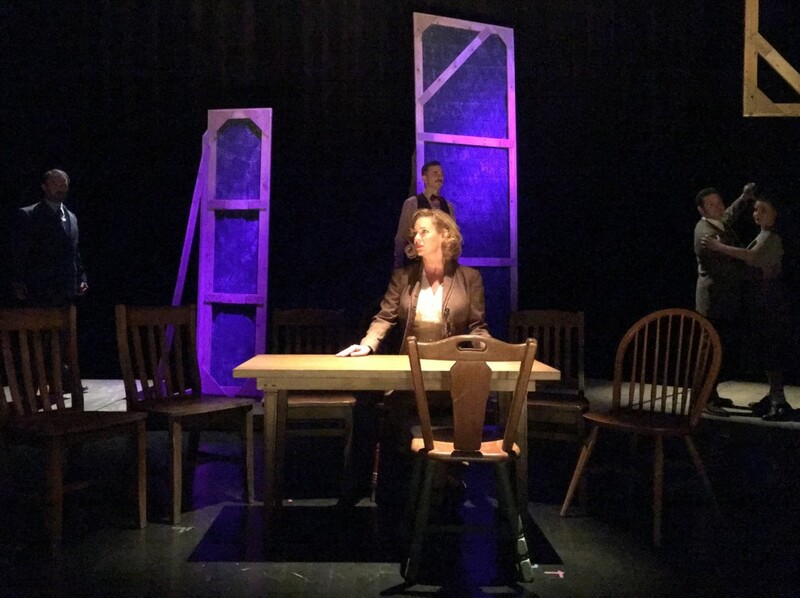 Indeed, the subject matter is so compelling that the entire run already has sold out more than a week before its Nov. 9 premiere in the Studio Theatre at the Rose Wagner Center for Performing Arts. Rehearsal, The Ice Front, written by Eric Samuelsen, directed by Jerry Rapier, Plan-B Theatre. The subject material for The Ice Front represents the most personal aspects of intellectual passion and emotional connection for Samuelsen in his distinguished career, which includes eight previous premieres with Plan-B. 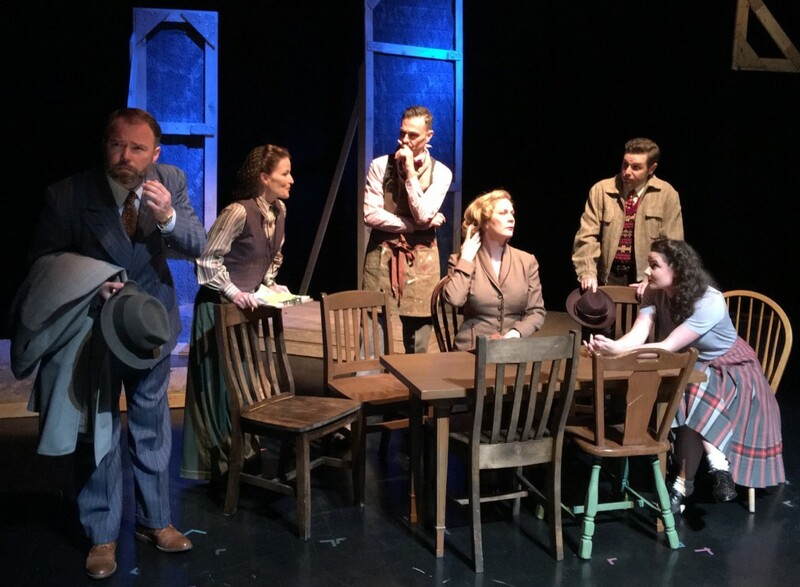 Samuelsen’s plays have generated some of the company’s most memorable performances – and most artistically momentous in Utah theater history. But, in this play, Samuelsen also brings forward the deepest elements of his being and identity. There is his extensive record as an Ibsen scholar and as a respected source on the theatrical culture of Norway. But, it is the roots and experiences of his family, who lived through the years of occupation, that animate the story with total authenticity and profound understanding of a beloved homeland. The family members include his grandparents who lived in Moss, Norway, right at the mouth of Oslo fjord, uncles and aunts and, most importantly, his father, Roy Samuelsen, who died earlier this year and to whom Samuelsen has dedicated his newest work. 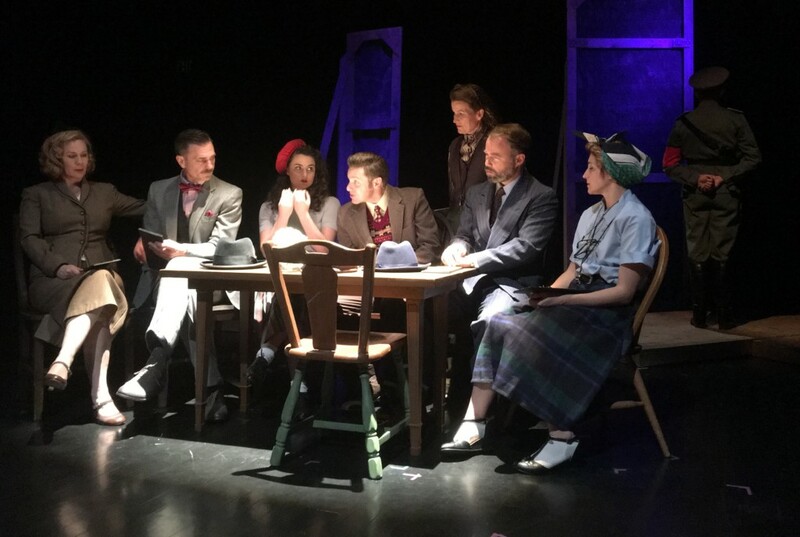 The story centers around news that the theater is set to premiere The Last Scream, the winning entry in a national playwriting competition written by an elderly playwright. Samuelsen brings to bear his intimate knowledge of Norwegian theater. His dissertation was about Brand, an 1867 play by Henrik Ibsen about a priest and the moral impetus of consequentialism. As part of his research, he gathered materials about Henry Gleditsch, who was one of the most well-known directors to stage Ibsen’s plays. Gleditsch was a Resistance fighter who also was the director of a theater in Trondheim that engaged in its own form of protest by staging classic plays with an “anti-Nazi twist,” as Samuelsen explains in his notes. Gleditsch did not survive to see the liberation, as he was taken into custody by Nazi authorities and shot to death in front of the Trondheim theater he led. And, in fact, there was an anti-Jewish play called The Last Scream, that had been picked as the winner of a contest. Samuelsen, who said the script was “dreadful,” learned that the actors had set the playhouse on fire to prevent the production from proceeding and then when the play did open, the actors deliberately threw their lines so badly that a German soldier fired a warning shot at one of the cast members. Samuelsen notes the audience applauded at that moment, which he believes saved the actor’s life. While Samuelsen did not include this aspect of his research in his dissertation, he occasionally revisited the material trying to find how he could translate the research into some form of publication or even a play that ultimately would be destined for a premiere by Plan-B. At one point, he had cast the story with characters for 16 actors, a completely unfeasible option for Plan-B’s minimalistic staging requirements. Anders, an actor cast in leading roles, is gay and his lover (the second of the three offstage characters) is a tailor who owns an upmarket men’s clothing store. Samuelsen includes details about him making uniforms for high-ranking Nazi officers and later the audience learns that he had been arrested and killed, presumably because of his sexual orientation. Originally, Samuelsen thought of casting the originally named director as the main character — Halfdan Christensen, the final of the three offstage characters. The name is significant for Samuelsen’s scholarly work. Christensen was one of the greatest interpreters of Ibsen’s work and was known for his enlightened attitudes about works that should not be limited by censors or by the predilections of government ministers. He was fired twice from his post as artistic director of the national theater. He refused to be a collaborator during the Occupation. In 1943, he fled to Sweden to organize a theatrical company of actors-in-exile, a point referenced and attributed to the character of Peter in the play. By this point in the play, Samuelsen has set the stage for the sort of moral journey that always electrifies his plays. Several of his plays comprised Plan-B’s entire 23rd season, highlighting his unique capacities to be simultaneously erudite, curious, witty and entertaining in his work. 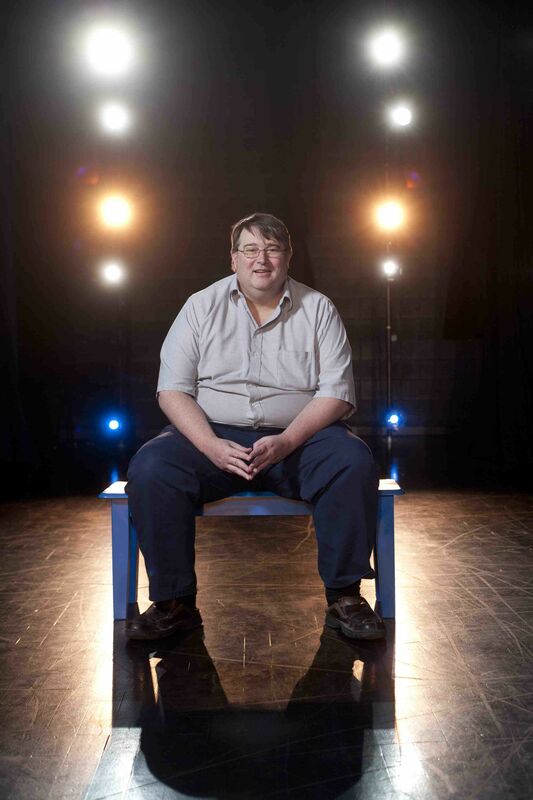 He stands out as a playwright who conveys vividly the tensions of moral dilemma, which The Utah Review described in a 2014 roundup of that season, as “a masterpiece of elegantly elucidated intellectual history, piercing logic, bold imagery and riveting rhythms.” The script for The Ice Front may be the finest example in his distinguished body of work. The premiere production of The Ice Front is directed by Jerry Rapier, who has exceptional skills at bringing out the finest elements of Samuelsen’s challenging works. Again, as mentioned in 2014, a Samuelsen script pushes actors in rehearsals because his writing reflects such comprehensive realizations about the complexities of human thinking, emotions and moral conscience. And, The Ice Front brings the classic dramaturgy associated with his plays – covering expansive interdisciplinary territory of intellectual theory rounded out by equally immersive personal experiences. The Ice Front is not only a theatrical testament to the value and purpose of history but also the profound emotional connections to one’s familial and ancestral roots. The cast includes Daniel Beecher, Ariana Broumas Farber, Mark Fossen, Stephanie Howell, Jay Perry, Topher Rasmussen, Robert Scott Smith, Emilie Starr and Christy Summerhays. Rounding out the crew are K.L. Alberts (costumes), Cheryl Cluff (sound), Keven Myhre (set), David Rees (lighting) and Arika Schockmel (props). 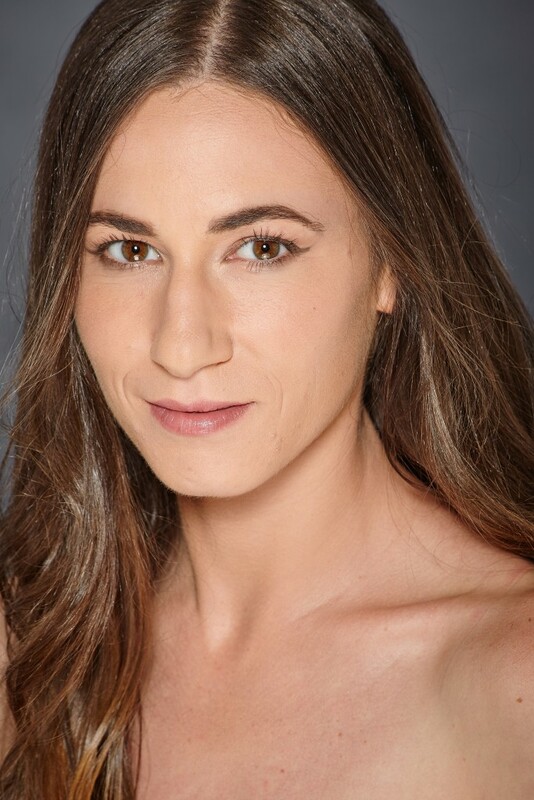 The production stage manager is Jennifer Freed, who is assisted by Michael Scott Johnson). Although all tickets have sold out for the run (Nov. 9-19), Plan-B will offer a prepaid wait list at the Rose Wagner box office one hour before show time. Individuals must be present to be added to the waitlist and the company will seat as many individuals as possible, five minutes before the scheduled start time of a performance. Those who are not seated will receive a full refund. Rapier notes that at least two persons from waitlists have been seated for every sold-out Plan-B performance. Other options to see The Ice Front include making a $20 donation to the Utah Film Center, which will offer a special preview on Tuesday, Nov. 7 at 7 p.m. Likewise, individuals can make a $20 donation to the NOVA Chamber Music Series to be admitted to a special preview on Wednesday, Nov. 8 at 7 p.m. 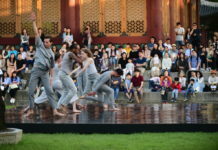 Performances will be Thursdays, Fridays and Saturdays at 8 p.m., Saturdays at 4 p.m., and Sundays at 2 p.m. 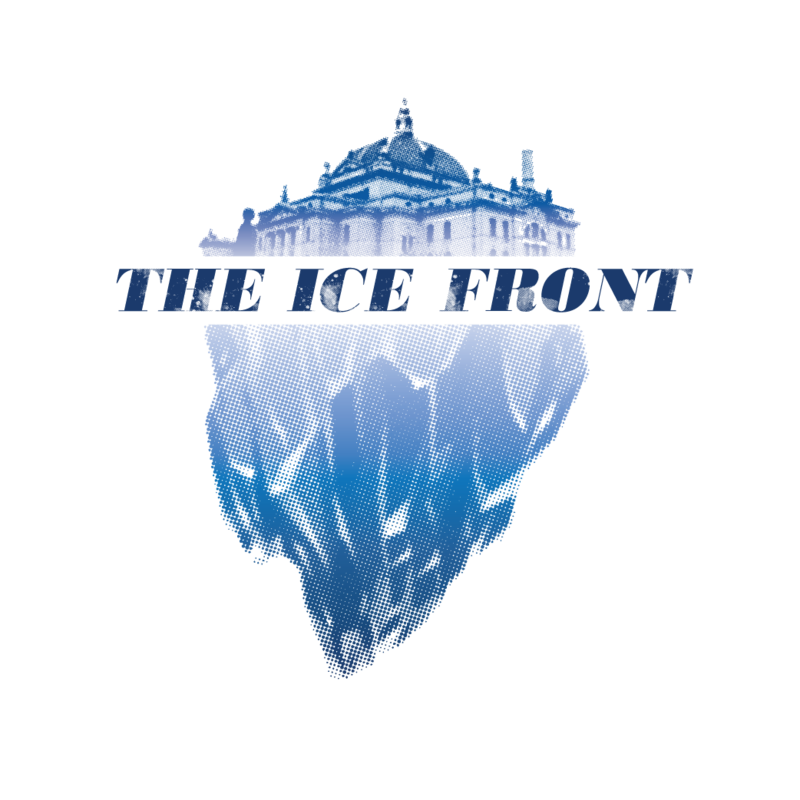 Excellent review of The Ice Front. I visited Norway in July, including the resistance museums and towns leveled by the Germans. Eric Samuelsen’s play conveys the same sense of horror I felt visiting these sites, and also the great bravery of those in the resistance. I hope this play is presented throughout the U.S.